Travis keeps bringing home strays. And Callie has her hands full keeping the wild animals her brother included away from her mother's critical eye. Whether it's wrangling a rogue armadillo or stray dog, a guileless younger brother or standoffish cousin, the trials and tribulations of Callie Vee will have readers laughing and crying and cheering for this most endearing heroine. 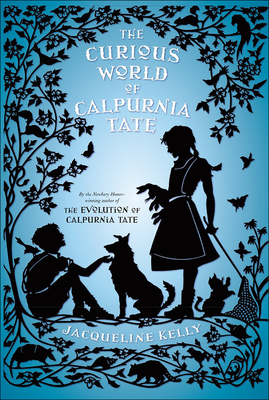 In this enchanting middle-grade novel, The Curious World of Calpurnia Tate by Jacqueline Kelly, readers will fall deeper in love with our heroine Callie Vee, as she continues her journey to learn more about the world around her and to deal with her wild family. Jacqueline Kelly was born in New Zealand and raised in Canada. She now makes her home with her husband and various cats and dogs in Austin and Fentress, Texas. She is the author of The Curious World of Calpurnia Tate, and the Newbery Honor-winning novel The Evolution of Calpurnia Tate, among other books.